IN MOST CASES WE RECOMMEND OUR STAFF UNDERTAKE AN ON-SITE INSPECTION TO ENSURE CORRECT SIZING, INSTALLATION REQUIREMENTS AND AN ACCURATE QUOTE. Have Service Request?Simply fill out our form, and or one of our technicians will be in contact shortly. Have quote enquiry?Simply fill out our form, and or one of our sales team will be in contact shortly. 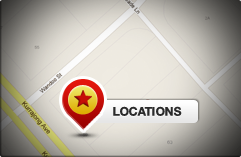 Are you located within our service area? Click on the map above to find out.